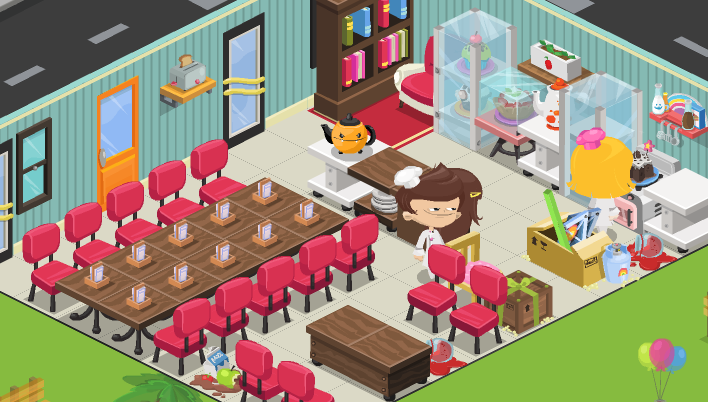 Cooking Games to fill the Cafe World void. So the day has finally come. I admit that it lasted a little longer than I expected, but this day was honestly inevitable. 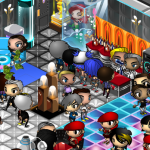 Yesterday, Zynga’s Cafe World finally closed its doors, much to the sadness of its remaining players. 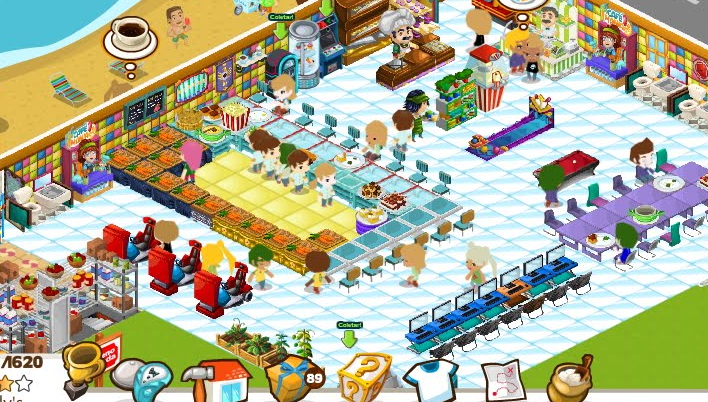 Cafe World had a rich and diverse game with many, many things that a player could do – whether it was repeatedly cook a dish in order to master it, participate in multi-person catering jobs, decorate a cafe – it had something for everyone. Maybe too much something because it was hard to participate in everything without needing to spend large amounts of real cash. This was very frustrating on players, and contributed largely to its decline. It’s on this final point that I wish to help. Cafe World is not going to come back, so one option is to fill the void with another game, one more deserving of your attention. 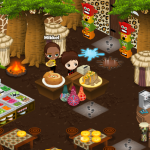 There are numerous restaurant type games all over Facebook, and many of the developers are still humble enough to care about what you think of them. One of the nice thing about supporting lesser-known games is that you can shape the change you wish to see by supporting them, either financially through in-game purchases, but ALSO by providing constructive feedback. I urge you try them all and see what you enjoy the most. If you know of a restaurant game that I’ve missed, please comment below and let everyone know. 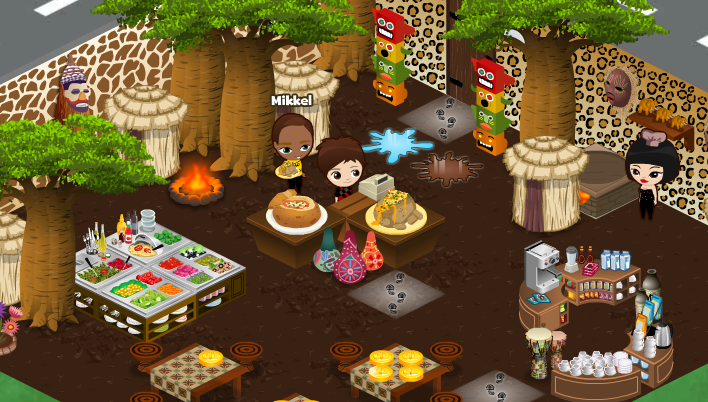 Tea 4 Friends: This game has the basic concept of Cafe World – interior design and keeping food stocked. The colorful and silly artwork makes for an interesting time-sink. 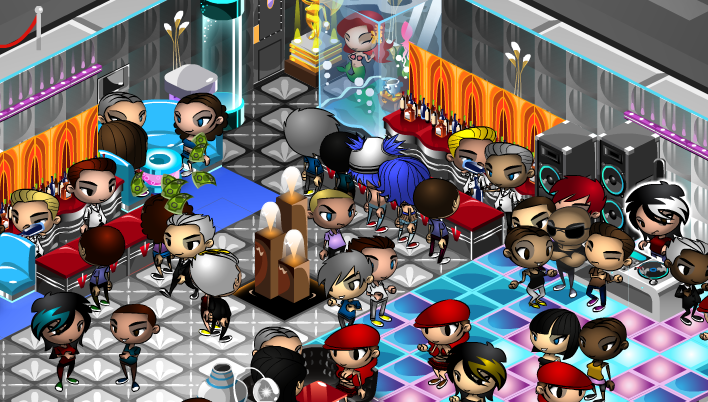 Nightclub City: Totally cute and fun game that is more about a nightclub than a restaurant. Features real music that you can play for your guests to dance to. Have a posse, own multiple clubs around the world. Bounce poorly behaving characters (they drank too much juice. I swear it’s juice). 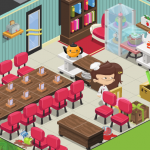 Cafe Mania: This game is not in English, but Portugese. Despite that, with a little poking around, it’s easy to figure out that this game is a very advanced Cafe World clone, and very fun! If this game had an english translation, I could easily see it becoming a very popular restaurant game. Cafe Land: This seems to be the current favorite among ex CW players right now. The developers seem engaging and open to ideas and criticism, which are definitely signs of a lasting game. Definitely give it a look. Gourmet Ranch: Personally, I’d play this to fill the void only because it has a lot of content to do, so it’s hard to really be bored, at least at first. 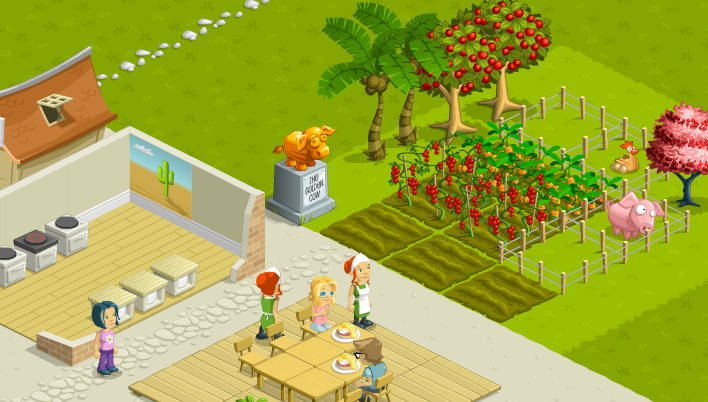 It has a restaurant component, but also a gardening/farming game where you have to gather up the ingredients you use to serve in your restaurant – similar to another Zynga cooking game that I won’t mention except to say that this one was around first. Last time I wrote about cooking games, there were a lot more than these meager selection. It saddens me to see so many games disappearing along side Cafe World, but unfortunately that’s the business. There ARE a number of mobile cooking games. I wasn’t sure if anyone’d be interested to hear about them, but if you are, please let me know in the comments!